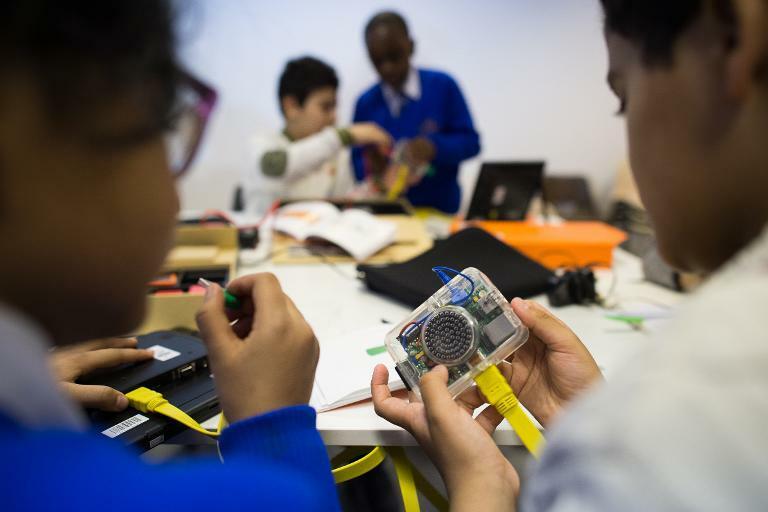 London (AFP) - For children who have become increasingly savvy consumers of sophisticated technology, a London workshop is offering something different -- a chance to get back to basics and build their own computers. Dipping into an orange container a little bigger than a box of chocolates, Omar, 10, and Faizah, 9, reacted with glee as they pulled out bits including a screen, a keyboard, cables, a circuit board and a speaker. Their instructions tell them the first step is to protect the computer's "brains", putting the circuit board in a transparent box. Next they have to give it "new powers" by adding the memory, the speaker and a screen. Finally, they have to "give life" to the computer by plugging it in. "It works!" Omar shouts out as he sees lines appear on the screen -- like something from the Matrix film. "When I opened the box, I said: 'It's gonna be very hard to do it'," said Omar, dressed in his school uniform with a white shirt, a blue jumper and tie. "But when I opened it, me and Faizah worked together and eventually we finished it in about five, 10 minutes," he said. When the computer asks the two to choose a team name, there is little hesitation: "Champions!" 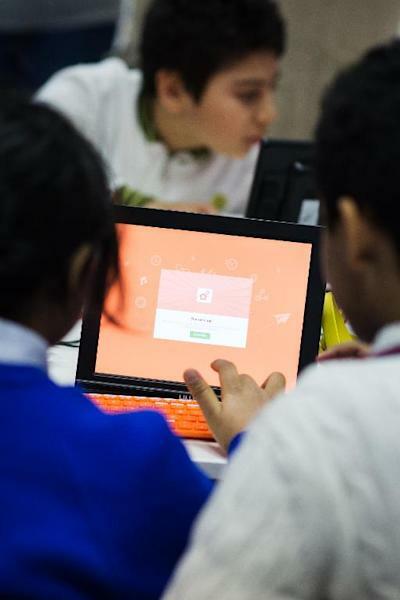 The class at Fab Lab, a new digital technology hub in the City of London, is a popular one, attended by around 60 children building their Kano. A British computer kit, it sells at $149 (99 euros) that started out as a crowdfunded project last year to help people learn basic coding skills and bring computer skills to less tech-heavy parts of the world. 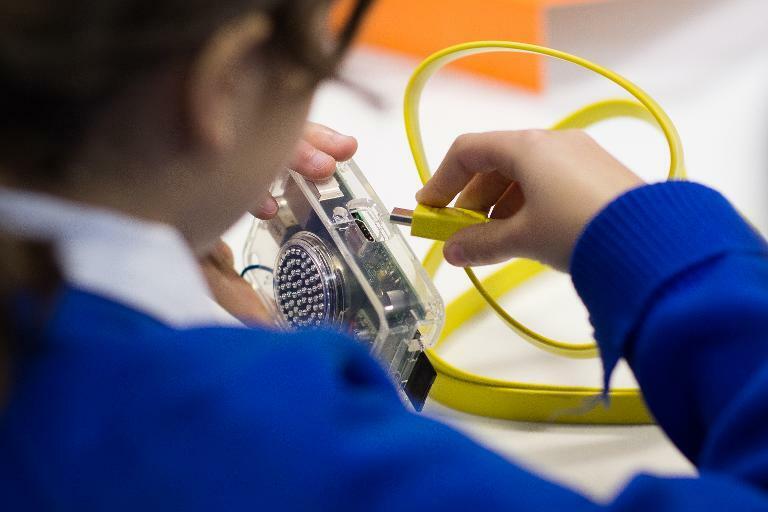 On a recent workshop attended by AFP, around 60 children came to hear how to build their Kano. "It's important to give kids the opportunity to be creative with technology," said Ande Gregson, co-founder and director of Fab Lab London. "They consume far too much today, they've got PS3, XBox, all these game consoles that they can play without any notion of how they were created. "We're trying to mitigate some of that by providing a space that gives children the opportunity to create, be creative and maybe think about the world in a different way," he said. That chimes with the wishes of parents like Gregory Bamert who brought his son Theo. "Rather than being driven by technology, it's good to be aware of how it works so you can actually use it and develop it and not just be a consumer," he said. Bamert said he gave a Kano to Theo for Christmas and "he's been playing with it pretty much ever since." "We thought it would be a great way for him actually to get a step deeper into kind of understanding how it actually works and understanding some of the basics about programming," he said. Like all British kids, Omar and Faizah have coding classes at school that began nationwide this year. "It's an enormous progress that in countries like the UK, Estonia, coding and computational thinking is becoming part of the curriculum," said Alex Klein, one of the co-founders of Kano. "We say to kids 'programme or be programmed', that if they don't learn how to code, in the future the machines will code them. "But that's just a fear-based message. I think that instead what we should be saying to kids is 'code is like music, paint, it's just another way to express ourselves'".